One of the increasing trends in education is the growth in K-12 of the surveillance state. Of course, it's done with nothing but good intentions--if we collect a whole bunch of data about these children, we should be able to accomplish all sorts of great things. Back in March, Florida Governor Rick Scott signed the Marjory Stoneman Douglas High School Public Safety Act. The marquee portion of the act was new checks on the purchase of guns along with the notion of arming some people in schools, and those drew most of the attention at the time. But as Benjamin Herold at Education Week points out, there were some other notable features of the 105-page law. The law creates an Office of Safe Schools for the Florida Department of Education, and directs that office to "coordinate with the Department of Law Enforcement to provide a centralized integrated data repository and data analytics resource to improve access to timely, complete and accurate information." The intent is to merge data from various state agencies and K-12 schools as well--plus data from social media. Advocates point to shooter Nikolas Cruz, whose behavior should have raised alarms--but nobody ever put it all together in time. Mental health agencies, law-enforcement agencies and anyone who read Cruz's social media posts about becoming a "professional school shooter" would have seen trouble brewing, the argument goes. If we had a single integrated data system that collected and collated all of that individually tagged information, maybe we could stop the next Cruz. If this sounds suspiciously like pre-crime and a twisty world where people are picked up for crimes they haven't actually committed yet--well, that may not be the scariest part. After all, much of this may have already come to a school near you. Social Sentinel "provides a structured process to mitigate risks pro-actively" and Geo-Listening pitches the "powerful benefits" of a service that "help you better meet the social and emotional needs of your students" that they'll know about because they will "monitor, analyze and report" student social network postings. The mountain of data that will be amassed about students, covering academics, in-school behavior, social media activity and anything else that can be datafied is unimaginable. And while Florida officials are framing all of this as "Nobody wants to allow another school shooting to happen," the system will collect all the data for all the students, not just the few who might be next year's active shooter. Regardless of the purity of everyone's intentions, that mountain of data is also a mountain of gold, and everyone from unscrupulous hackers to shady operators to companies that just had a brilliant idea about how that data could be made more useful will want to get their hands on it. Will anybody be safeguarding it? Has Florida written laws about how it can be managed? Is anyone making sure that all of this accumulated data is accurate and free from bias? When someone calls the police on an 8-year-old black girl selling water, will that mark her as a potential threat for the rest of her life? 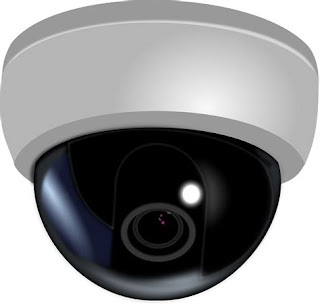 RealNetworks is offering facial recognition software to schools for free, which means that a child's permanent data record could also include things she did in the hall and record of her movements through the day. Meanwhile, Amazon's Rekognition software mistook 28 Congressmen for wanted criminals (with the bulk of those misidentified being African-American or Latino). Do we really want to make a permanent data record of every dumb thing a student ever does? Is it good for us as a country to raise an entire generation that is accustomed to living under surveillance at all times? News from TSA this week suggests that government surveillance of citizens who haven't actually done anything wrong is increasingly normal. We should probably start talking about whether we really think that's a good thing.